Cigarette industry – grim prospects? 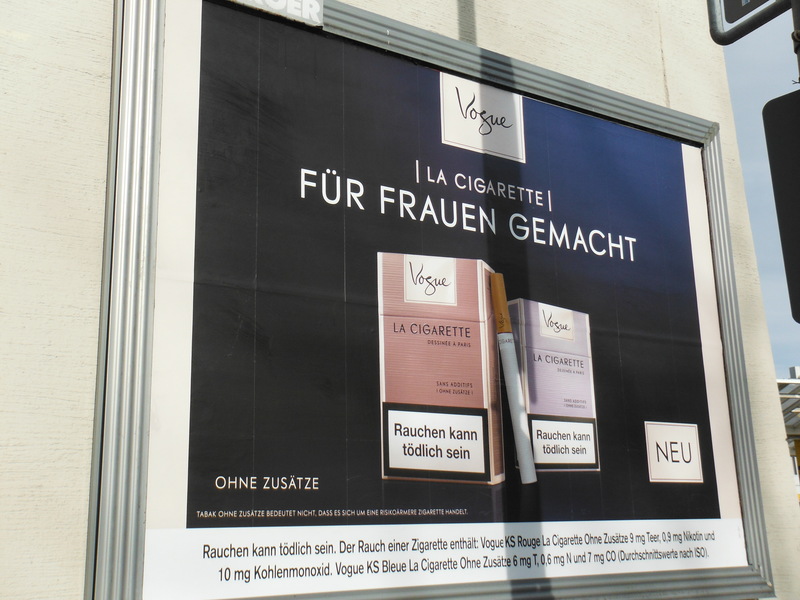 For a number of years this blog has reported, as irreverently as possible, cigarette advertising in Germany. Germany is one of the few places in Europe where it is still possible to advertise cigarettes. The contrasting campaigns are a source of endless fascination as the brands pit themselves against one another. However, cigarette advertising is one thing, the continuation of the industry more generally is now in some doubt. I say this after reading an article in the Economist magazine (link below). Apparently, it is fifty years since the US Surgeon General declared smoking to be a ‘health hazard’ requiring appropriate ‘remedial action’. This remedial action led to a decrease in cigarette consumption from 43 to 18 per cent in the American adult population. Still, 20 million Americans have died from smoking-related diseases since then. The current Surgeon General has declared smoking deadlier than previously thought and has promised ‘end game strategies’. What does this mean for the tobacco companies? Traditionally, they have found new markets, particularly in Asia. But here, also, the regulatory environment is becoming hostile. 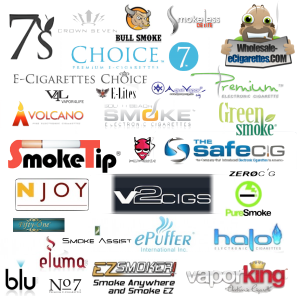 Arguably, too, the firms have not seen the e-Cigarette phenomenon coming – dominated at the moment by new firms, a selection of which are represented on the panel (left). Perhaps they have failed to understand fully what is their business? The customer craves nicotine, not tar: e-cigarettes seem to be efficient deliverers of nicotine, and less riskily. Though this may well be scrutinised closer in coming months and years. Another approach seems to be cigarettes that do not actually burn the tobacco. Rather they heat it to deliver their nicotine payload. 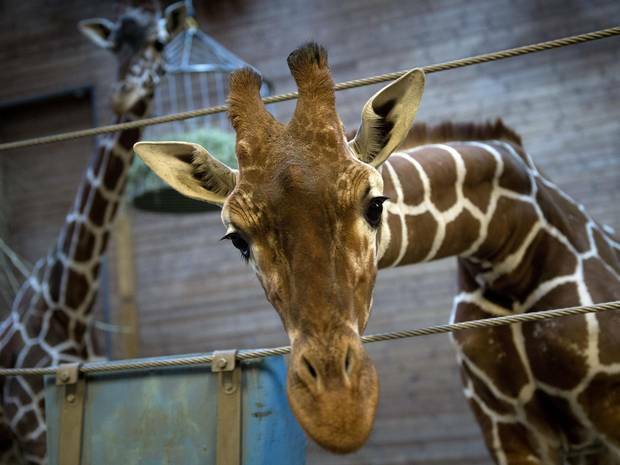 Marius, the 18-month old giraffe captive in Copenhagen Zoo was killed yesterday and fed to the captive lions. In the public gaze. A bizarre spectacle from a British perspective, but not necessarily elsewhere. The justification for the killing was, scientifically, logical. Captive animals tend to breed with one another and this puts pressure on the gene pool. It also seems not helpful to Copenhagen Zoo for alternative homes to be offered. The ‘value’ of the animal had been calculated. First of all it was valuable as an attraction when it was young. Baby animals are much more remunerative than older animals. Essentially, they are cute. It also seems clear that the animal’s body – in terms of meat – had been factored into the calculation. There are some hungry lions nearby who infrequently eat giraffe. The costs associated with moving the animal far outweighed its immediate value as a food source for the lions. And there is the problem. Animals are commodities. They have value and no value at different times in their own lives. Just like farm animals. The problem is not what the Danes did to Marius. The problem is zoos. Finally, some good news for UK manufacturing. 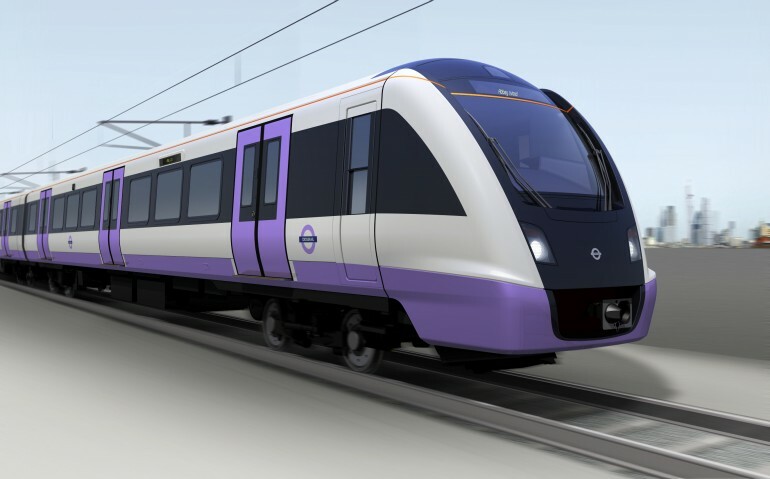 Bombardier, the Canadian engineering firm, which owns the former British Rail train factory in Derby, has won the competition to supply 66 units to Crossrail opening in 2017 (impression, below right). They beat off competition from Siemens and Hitachi. The former recently won the contract to make the Thameslink trains. 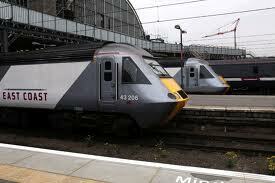 Hitachi trains can be seen running on HS1 between St Pancras and Dover. Whilst I understand that competition is necessary when placing orders for expensive long-lived kit to ensure some degree of value-for-money and quality (British Rail supplied to itself a lot of over-priced un-tested stock in the 1950s that very quickly found itself decommissioned), I despair at the ease with which much of the UK’s supply comes from abroad. The train building capacity and capability in the UK has been lost. I despair even more, however, at the madness that the structure of the railway industry in the UK. This week, we learned who were the preferred bidders for the re-privatisation of the East Coast Mainline ‘franchise’ between London, the North of England and Scotland. The current operator, Directly Operated Railways (DOR), has been running the route successfully and profitably since National Express handed back the keys, so-to-speak, in 2009 after they failed to deliver the returns to the UK Treasury pledged in the contract (DOR has returned some £600m to the Treasury so far). National Express replicated the error made by its predecessor operator, GNER, that equally over-stretched itself and delivered those very same keys back to Department for Transport a couple of years earlier. East Coast Trains Ltd/FirstGroup the very same that submitted an unsustainable bid for the West Coast route leading to a collapse in the bidding and its re-run at our expense (see post, 15 August 2012) . Keolis/Eurostar East Coast Limited (Keolis (UK) Limited and Eurostar International Limited) – a nice little pairing of the soon-to-be-sold off British bit of Eurostar – the remainder is SNCF oddly publicly owned but allowed to run trains in the UK – and Keolis, a global French-owned public transport operators that ‘thinks like a passenger’. Apparently. They have a stake in the Southern Franchise that I use. If that is thinking like a passenger, this route is destined for exemplary bad service. Inter City Railways Limited (Stagecoach Transport Holdings Limited and Virgin Holdings Limited) – ah yes, Richard Branson who is currently carving up a nice slice of the UK National Health Service for his ‘health’ business as well as good at picking up cheap banks that once were mutual (now Virgin Money). A favourite of a succession of UK governments. 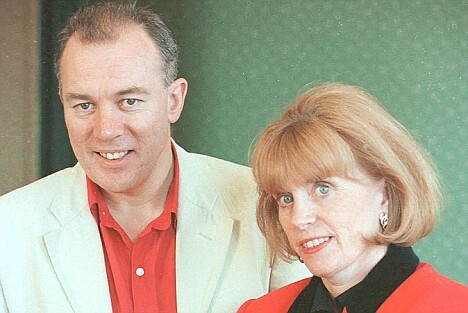 And the brother and sister partnership of Brian Souter and Anne Gloag (right), the Perth-based tycoons who peeled off (allowed by the UK Government) much of the UK bus industry when it – or rather the land that housed depots, workshops and bus stations – was given away in the 1980s. It’s not their fault, we invited them to do it. But should they win, they will control all services to north of Border as they already command the rails on the parallel West Coast, at least for the time being. In my search for cigarette advertising today in Munich, I had the mis-fortune to come across this explicit piece of advertising for a local radio station. Just in case any readers are wondering what it is, it is a naked woman with her breast covered by the hand of some disembodied man. The strapline, I think, translates as ‘close-up on the hearing’. I do not know this radio station. A quick visit to the website suggests it is a subsidiary of a group of stations with the same name in various cities pumping out pop music – old and new – and news. This photo was taken at a busy transport interchange in Munich! It is difficult to explain to adults what this is about. I’d be hard pressed to say much to a child who might notice it. 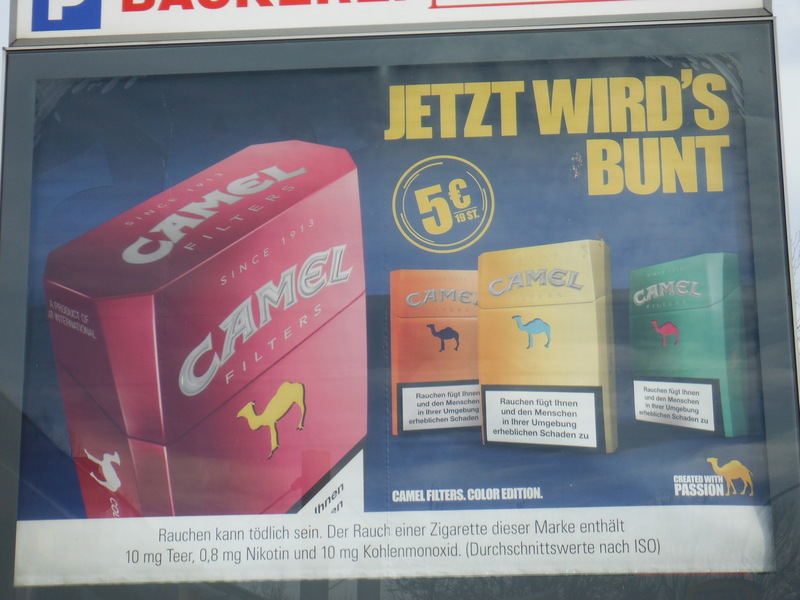 The winning spring cigarette advertising campaigns in Germany are Vogue ‘made for women’ (pictured left – see also post 7 December 2013) and new to the competition, Camel, with their curious descent into primary colour packaging (below right). The recent Lucky Strike campaign is clearly having an interregnum. Camel’s slogan translates literally, I think, as ‘now becoming colour’; though it may better translate into ‘now colourful’ with red, orange, yellow and green packets. Unfortunately, I’m not sure what the colours represent – they could be random colours or relate to a blend (I think it is the former). I suggest, however, that the packaging relates to how quickly or nastily the content will kill the consumer – with red being acute and green giving the smoker more time alive, though enjoying chronic ill-health?